In 1946, Jesse Norris and his son Ed had a vision. That vision was to be in business together, long-term. Working out of their hometown, scenic Chattanooga, Norris & Son quickly became prominent in the commercial masonry marketplace throughout the Southeastern United States. In 1950, Norris & Son won the contract to build the Enka Rayon facility in Morristown, TN. This landmark facility is still in existence today as part of historic Morristown. The commercial masonry market was as competitive then as it is now, and margins were tight. Mr. Norris noticed there was work to be had in manholes and catch basins. Other masonry contractors seemed to not be interested in this new niche market. That led to Norris & Son, Inc. installing manholes and catch basins for the Federal government during the construction of the Eisenhower interstate system. Norris & Son, Inc. installed manholes from Key West, Florida to the top of Michigan. At the same time, father and son spent their weekends doing brick work on boilers for a newly-emerging company in Chattanooga. 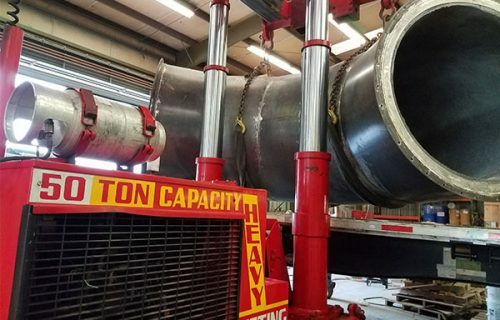 That company was Combustion Engineering, and it would quickly grow to be one of the largest pressure parts manufacturers in the United States. Thus, Norris & Son, Inc. Refractory Sales and Services was born. Today, Norris & Son, Inc. is proud to serve the Southeastern region of the United States as a top-tier refractory service company. And, even though we focus on service and work hand in hand with the area’s largest energy providers, we place just as much value on our relationship with our diverse clients. Even though we have grown and evolved over the years to meet and adapt to industry and market changes, the Norris name is still on the building. At Norris & Son, Inc., our clients and employees ARE our family. There’s a lot of talk about safety in industry and construction today. 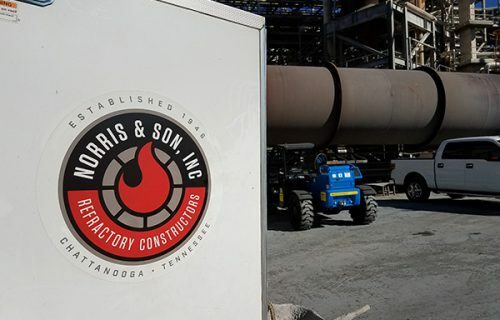 With Norris & Son, Inc., it’s more than talk. It’s the way we do business. We can watch the videos, and we can buy the PPE. But unless we live it, safety is just another buzzword. And at Norris & Son, Inc., we do live it. We believe that a project is not successful, no matter how profitable it is, unless everyone makes it home safely. From confined space entry to hazard communication, our workers are alert, trained, and motivated to be safe. These are just a few of our training topics. Our field supervisors carry USB drives with all of our safety manual literature and SDS of all of the refractories we use. That’s a small indicator of the level of commitment we have. When we arrive on the job, we will do a toolbox safety meeting – every day, no matter what size the job is. We keep safety at the forefront of our employees’ minds from the start of the day ’til the end. 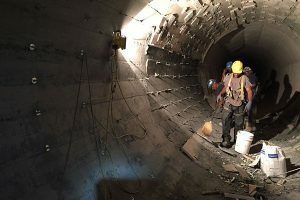 The foreman will complete a job safety analysis as needed to make sure all project tasks are done safely. We maintain and audit these records at our home office to ensure that we are following the safest practices possible.